A Trip To Prato. | In Florence. A Firenze. December 2015, I came to Florence with my University. I’d opted to take a week-long intensive course, with site visits in the morning, and seminars every afternoon. For the classes we travelled to Prato, as we were using a room in Monash University. Despite being there every day for a week, I never explored all the things this little town has to offer. Situated 20 minutes outside of Florence, an easy and cheap train away, this little place is filled with wonderful buildings. It also has a very different vibe than Florence. You are closer to the mountains, the air is clearer, there are trees and open spaces, and the ratio of Italians to tourists is definitely in favour of the former. You see people coming and going from work and school, and the atmosphere is generally much more relaxed. 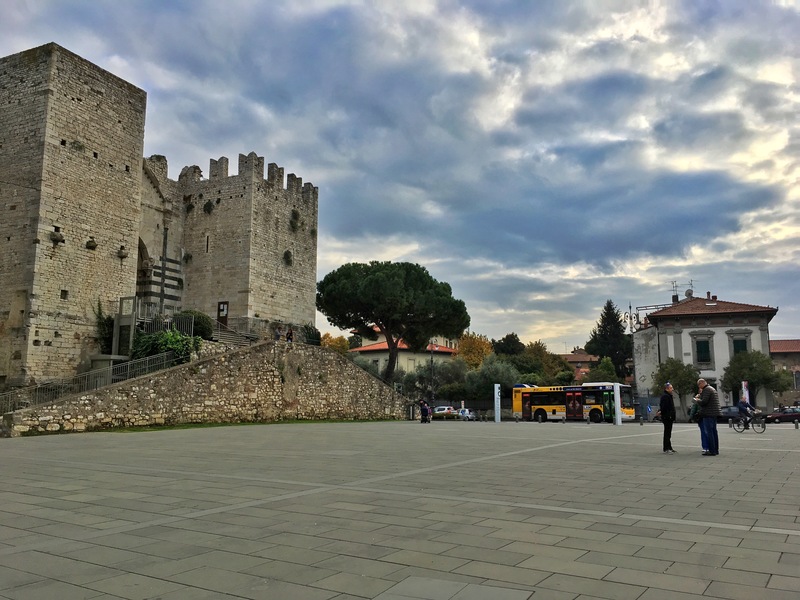 Be wary when buying train tickets, as there are two stations in Prato: Prato Centrale and Prato Porta Serraglio. The one closest to the old monuments is actually Prato Porta Serraglio, which is one stop further on than Prato Centrale. It wouldn’t matter too much if you got off at either, but it would be a good 20 minute walk to reach the historical centre. It is very much a small town in comparison to Florence, so I would only recommend visiting for half a day or slightly more. That’s not to say there isn’t plenty to do though. Pictured below is The Emperor’s Castle, also known as the Fortress of S.Barbara, or Castello Svevo. This 13th century building dominates the square it sits in, and is very impressive architecturally. It’s also free to visit, and opens 10:00 – 16:00 every day. 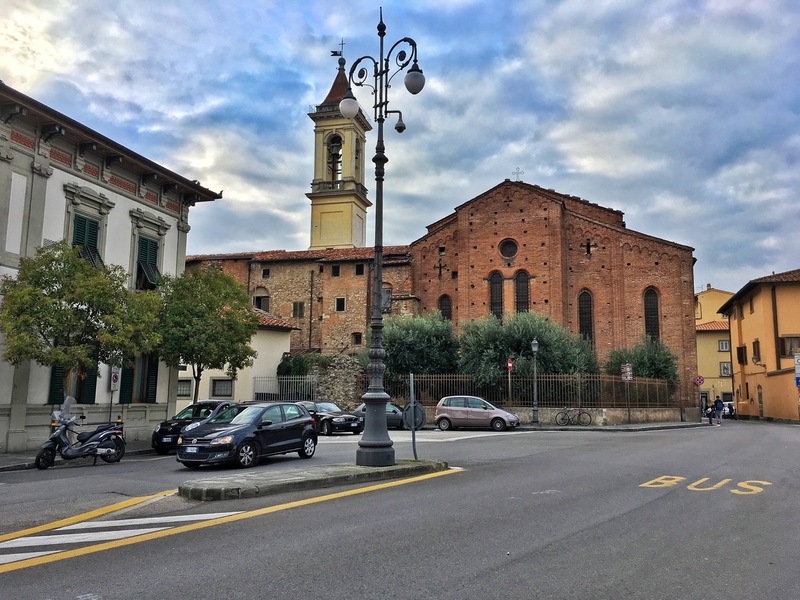 In the same square there is the smaller Basilica of Santa Maria delle Carceri, with stained glass windows by Domenico Ghirlandaio. A short walk away is Palazzo Pretorio, once a prison amongst other things, now home to the Civic Museum of Prato. Last, but not least, is the Duomo or Cathedral of Saint Stephen. This is the first historic building you’ll encounter upon exiting from the train station (if you made it to the right one). I can’t tell you how impressed I was by this place. The interior of the church is stunning, including frescos by Fillipo Lippi, Agnolo Gaddi, and Paolo Uccello. You do have to pay to see these, but oh are they worth it. 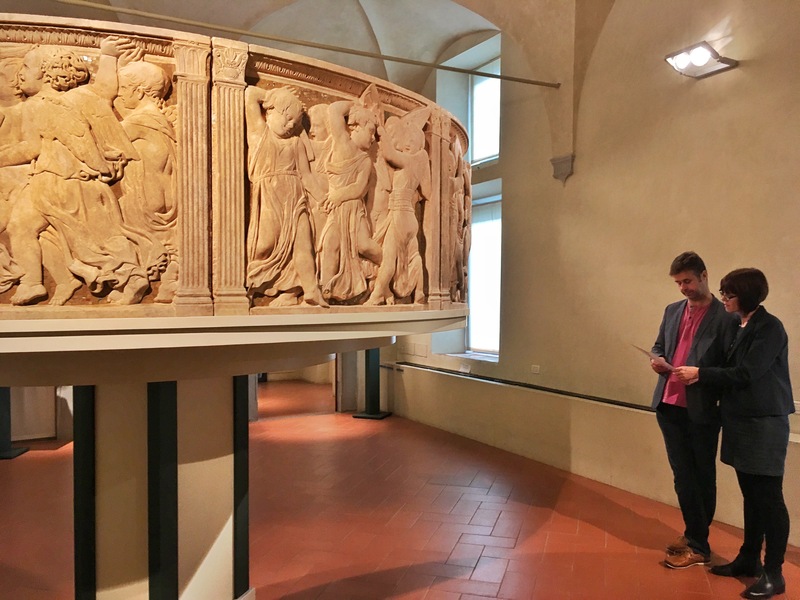 Also, the ticket is €5 which includes the Museo dell’Opera del Duomo as well. The museum is the part that surprised me most. You start by entering into a tiny room with a few panels and diptychs, then you proceed into another equally small room with a few impressive Antiphonaries. After this, you head down some stairs, and this is when the fun really begins. Through here there is an archaeological section, more fantastic paintings, the pulpit made by Donatello, a Romanesque cloister, and some really magnificent frescoed vaults. It goes on and on. 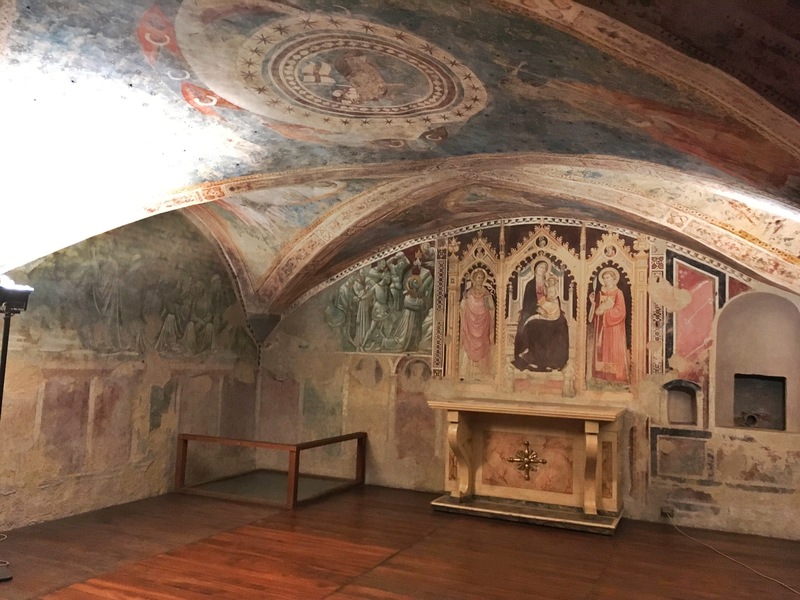 So whether you’re an art lover, or just need a break from the hustle and bustle of Florence, take a trip to Prato.